The Resistance struck a major blow to the First Order in The Force Awakens with the destruction of Starkiller Base, but with the loss of the Hosnian System and the New Republic government things aren't exactly great for The Resistance either. John Boyega, the actor who plays Finn (a big deal in the Resistance), was featured on the cover of Variety this month and spoke about the state of the Resistance in Star Wars: The Last Jedi in an interviewed featured on the magazine's website. 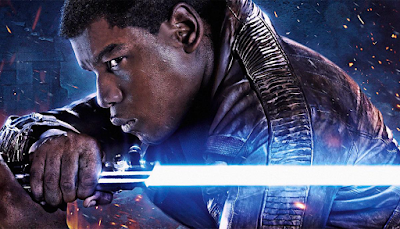 Boyega told Variety, "The Resistance isn’t in the best condition. Things are shaky." He went on to describe The Last Jedi, saying, "It’s a chance for each character to decide what side they’re on and decide what they’re fighting for. It’s an epic dark story. At the same time it’s still fun. It’s still Star Wars."